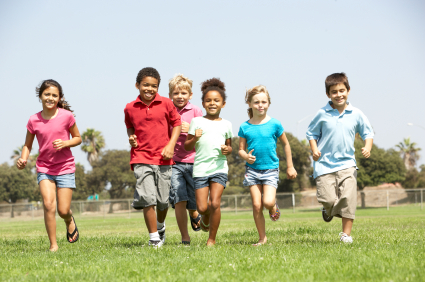 How can you take your community’s talents and use them to make children healthy and active? Monmouth County, NJ, found a way by engaging a variety of health and educational professionals to pilot a “School Health Council” project called, “Action for Fitness in Monmouth County.” In 2010, Monmouth County piloted a School Health Council to promote healthy eating and exercise among schoolchildren and educate students and families about nutrition and fitness. The School Health Council was comprised of local health officials, a school administrator, school nurses, teachers, parents and members of the local Medical Reserve Corps (MRC) unit, the Monmouth County Health Department MRC. The MRC is a national network of over 200,000 volunteers organized into almost 1,000 local units across the country. While many volunteers have a medical background, a significant number of volunteers are non-medical people who are interested in making their communities a better place by educating residents on how to be prepared for a disaster or sharing healthy lifestyle information. MRC units participate in activities based on the needs of their communities; in this instance, five volunteers were happy to share their medical expertise in the implementation of the School Health Council project. MRC volunteers helped to support these activities in a variety of ways. One MRC volunteer, a chef by profession, hosted a demonstration to teach families how to make healthy and kid-friendly snacks. Other MRC volunteers provided expertise and gave feedback as medical professionals during School Health Council meetings. Non-medical volunteers walked weekly with groups of students to school and coordinated a Family Fitness Olympics. This post originally ran on the Together Counts blog. Learn more at blog.togethercounts.com. This entry was posted in Medical Reserve Corps on February 27, 2014 by nacchovoice.